Is your beloved pet scratching like mad or maybe fleas are jumping up and attaching themselves on to you? As the weather is getting warmer fleas are starting to come out of hibernation. Did you know that flea eggs can stay dormant throughout the colder months and will start to hatch once it starts to warm up. So what are fleas and how can we get rid of fleas? 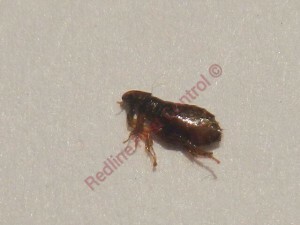 Fleas are tiny parasites which will feed on a blood host whether it will be your pet or yourself. 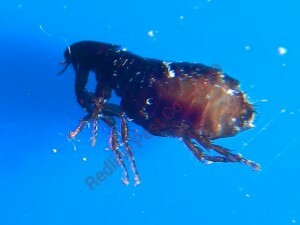 Fleas are a reddish to brownish in colour with a flat body with no wings, they gain momentum by flicking themselves up or across with their three pairs of legs. Fleas have sclerites which is hard like plates across their body. To the naked eye this seems smooth but in fact the plates overlap each other. This makes killing fleas by hand once you catch it a little harder, you will need to squeeze the flea in a certain spot with your nails. Fleas have three segments to their body, the Head, thorax and abdomen. Fleas have four life stages which are eggs, larvae, pupa and adult.